I know it's been a SUPER long time since I last posted, but a lot has been going on in my life recently with school and other events (looking at colleges and studying for AP tests... ugh) that I have had very little free time. But here I am, in the few minutes I have, writing more about some recent events that I found to be very funny. This story is a pretty entertaining one, but before I write anything, let me address a common misconception. Many people, young and old, have often come up to me or my mom or dad and have asked, "Is Ela really sweet? I heard kids with Down Syndrome are just the sweetest!?" And while Ela can be sweet, she can also be stubborn, or bubbly, or mad, or calm, or crazy, or literally any emotion you could probably ever come up with. I know that people don't mean any harm or anything by asking if Ela is sweet or whatever, but we need to stop putting kids with any disabilities into this stereotype. KIDS WITH DISABILITIES ARE JUST LIKE EVERYONE ELSE! Everyone experiences emotions, we are all different, and nobody can be put into one category! Now with that being said, let me get into my story. So yesterday night, Ela and I were home alone while my parents were out at dinner with some friends. She was up in her room singing/screaming to a song from Mamma Mia (her latest obsession), while I was watching March Madness tournament games/The Office in my family room. All of the sudden, Ela came running down from her room holding two toothbrushes, one of them was hers and the other my dads. Of course, I asked what was going on, and she proceeded to tell me that there was something wrong with her toothbrush. It took me a while to understand what the matter was, but eventually I figured out that my dad had replaced the actual toothbrush head on her electrical toothbrush with a new one that was just like his. Ela was super bothered by this, because she apparently had been attached to her old toothbrush head, and didn't want to change it, so I told her to take it up with my parents when they got home. When my parents finally arrived about an hour later, Ela immediately came storming downstairs, demanding that her old toothbrush head be put back in its place. When my dad told her he already threw it away, she had a FIT. But it wasn't like a crying, screaming tantrum, it was more like this crazy rampage due to a large amount of sugar in her system after eating a cookie. She was going crazy, but was cracking up at herself while doing it. It was pretty funny to watch, but super hard to describe. Just imagine watching someone argue for no reason and then realize it's stupid, so they just fall on the ground laughing at themselves. That was Ela last night. It was so interesting how in the most crazy, hysterical moment, I could see the most improvement in Ela's mental and social character. While chasing after my dad and scolding him, she was using advanced sentences and speaking in full sentences that I have never heard before. Granted, these sentences were, "Come on old man, put my toothbrush back!" and "You are such a nutty old man! ", but hey, that is some pretty impressive language/syntax for her. After all the hysterics had died down, after she had already tried to play tag with my dad around the house, and after she realized that her old toothbrush was not coming back, Ela settled into a calmer, but still kinda funny mental state. All of a sudden, she started going around to me, my mom, and my dad, and saying stuff like "you guys are the best family ever" and "Serra you are the best sister ever because I love you." And basically that's where I get to the point of this whole story. Ela started making us give each other "group hugs" and wouldn't stop talking about how much she loves us because "we are strong, we are healthy, we are kind, and we are her family." This whole experience really just demonstrated how complex and crazy she is. Ela can literally go from being upset to being uncontrollable to being the most loving kid ever, and that should never come as a surprise to me or to anyone else. I realized at this point in the night that she has 100 different personalities, and that's what makes her who she is. So yeah, kids with Down Syndrome can be sweet, but that literally can be said about any person in the entire world. I can be sweet, but I can also be dismissive or ignorant. Ela can be sweet, but she can also be frantic or shy. This is just one random, confusing story that happens to showcase a lot of her different personalities, but there are so many more. Sometimes Ela tells me that I'm the best sister ever, and sometimes she tells me to go away or to leave her alone, but aren't we all like that? Don't we all have good days and bad days? Why do we need to find a way to classify anyone with a certain stereotype? I know this story kind of seems really random and weird and all over the place, but that's pretty much where my brain is right now, and sometimes it's a good thing to just be crazy (as Ela proved last night). So try, as hard as I know it is, to appreciate the fact that we all have different emotions and personalities all the time, because sometimes our most nutty, psycho characteristics are just as great as our sweet and loving ones. One of my all time favorite things to do is shopping. My cousin and I even call ourselves "savvy shoppers" because of how great we are at finding deals and sales. One of the best sale times, in case you were wondering, is right after Christmas. All the stores are trying to empty out their winter clothes and make room for the spring collections -- which come way too early if you ask me -- meaning that there are some pretty good clearance deals. This past weekend, my mom, cousin, and I all went to the mall to look for the sales and see what we could buy, even though Christmas was literally a week ago. I had been looking forward to getting up early and going all week, and the idea of shopping was kind of getting me through the post-Christmas blues (I know, I'm pathetic). I went to bed early on Friday, and woke up with a lot of excitement, but that excitement was soon met with a little bit of anger. My mother informed me that my sister, Ela, was going to the mall with us. Now, it sounds terrible that I did not want her coming to the mall, but the thing is, Ela is the worst walker/shopper in the history of the world. Whenever we have gone to the mall in the past, she has taken 3 steps and then complained that "her legs are broken". No matter if it's Disney World, Washington D.C, or a local museum, the routine is the same: Walk, then complain, then walk for 30 seconds, then complain some more. I did not want Ela to put up any sort of a fight on this day I had been looking forward to. Unfortunately, my opinion was not valid, and Ela was coming whether I liked it or not. We all piled into the car and arrived at the mall without any issues, but I was basically just waiting for something bad to happen. First, we had to return something that we bought weeks ago, so I was expecting Ela to throw a fit of boredom in the middle of the store. However, this did not happen. There were no exclamations like "I'm tired" or "I'm bored" or "when is lunch". Ela just waited patiently for us to finish. After returning everything, my cousin, mom, Ela, and I set out into the rest of the mall. We walked in a bunch of stores without one single complaint from Ela; she was just laughing and joking around with us. It was a little weird, not having to encourage her to move a couple more steps, but it was a good kind of weird. I was very impressed. The anger that I once had slowly went away as the day went on. Could we have gotten more done if it was just me, my mom, and my cousin? Sure. But I think that it was good for Ela to come to the mall. She felt more included, got out of the comfort of her room, and saw that walking around for a couple of hours was not an excruciatingly painful experience. I think that by going places and finding activities to do with Ela, even if it is hard at first, we are all learning to have more patience and toleration. What I am trying to say here is that one of the most important things for kids with special needs, or really anyone for that matter, is exposure to every day activities. We all dread certain places or scenarios, but by getting through them and experiencing them more, we can find patience. If kids are kept in their comfort zone, or left behind so that more work can get done, how will they ever learn? Sometimes, the difficult situations are necessary to endure so that in the future, they aren't that bad. So I think, in the future, with this whole mall thing working out pretty well, Ela might just become better at shopping. It was annoying, yes, to have to fight with her to get her to walk at one time, but I think seeing her eagerly go shopping with me, for once, made it all worth it. It was Ela's first Special Olympics gymnastics meet, and she did an amazing job. Bringing home 4 golds and a silver (winning the all around for her age/level category), I can speak for my whole family when I say that we were proud. I have done gymnastics since I was 3 years old, and I love the sport so much, so seeing Ela not only competing, but succeeding and enjoying it, makes me even more appreciative of what gymnastics can do for people. For so long, Ela has either had to come to my gymnastics meets or stay home with a babysitter. I probably have a dozen or so meets every year during my high school gymnastics season, lasting for about 4-5 hours every Saturday or Sunday in the winter, so calling Ela a "trooper" is an understatement. But today, she finally got to shine. She has been on her gymnastics team since September, and is just starting out in level 1. I knew that things would get pretty interesting when the first thing her coach said to my mom after her first practice was, "you brought in a ringer," and she was not wrong. Every week, Ela has felt more and more comfortable, getting to appreciate and love gymnastics like I do. Not only that, but she isn't shying away from competing or practicing, something I thought would definitely happen. But then again, I guess proving me wrong is what Ela does best. The best part of it all is that despite her constant protests to be called "Princess Moana", she giggles so much that her coach has started calling her "gigglebottom." I can tell every week that when she comes home from practice, Ela is happy. Everything Ela has done since that first September practice has been leading up to today, but we didn't really know what to expect. This was our first EVER Special Olympics gymnastics meet, and we basically had no idea what would happen. In dance recitals, cheer performances, and piano concerts, we can never be sure whether or not she will perform, because for as confident of a kid as she is, she does not like crowds. However, Ela competed with no hesitation. She performed on vault, bars, beam and floor, and although she's still getting familiar with her routines, she looked calm and cool out there. When she was done competing, it was time for the medal ceremony. She went up and got her medals, standing on the little podium and smiling for a camera every time her name was called, beaming with excitement. Now, I thought that Ela would have gotten more excited about all of her medals after it was over, but I realized that they weren't as important to her as the actual competition. She came home and proceeded to give me, my dad, and my mom each a medal to "keep in our rooms". When I told her that she should keep all of them, she told me that she already had 2, so she wanted to give the other 3 out to us. This sort of blew me away, because Ela is totally the type of kid who would carry those medals around with her everywhere for a week, but here she was, giving them away. To her, the medals were a sign that she did an awesome job, but the experience was what she enjoyed the most. Hanging out with her friends and coaches on the team, watching other girls' routines, and being able to participate in a sport that she had watched from the sidelines for so long is what sold her on the whole gymnastics idea in the first place, not winning or losing. I think that is why this whole Special Olympics program is so great. Ela can work hard and do well, but still have a fun time in the process, something that is really hard for a lot of people to do. Today's competition, overall, was a highlight of my weekend. Not just because of how well Ela did, but how excited and humble she was after it was all said and done. Gymnastics is something that holds a special place in my heart, and seeing Ela competing out there makes me excited for her future with it. Her Down Syndrome does not, by any means, keep her from achieving her goals and having a good time while doing it, which is so refreshing to see. Going forward, I have one suggestion: If you know somebody with any type of special need, or even somebody who just isn't involved in a lot, get them involved. Seeing how my sister felt after competing today made me realize that when people find a passion, it drives them to do their best, and there is nothing more gratifying to watch than somebody finding joy in something new. 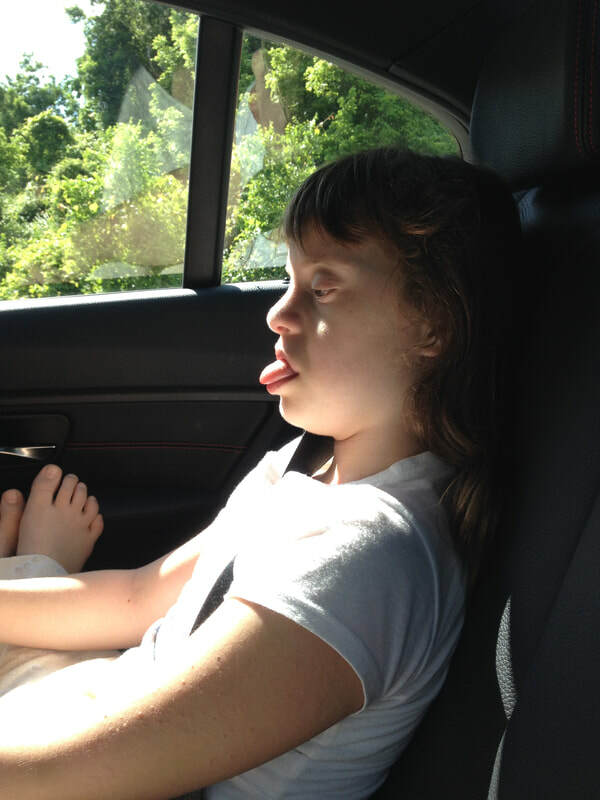 When I was a lot younger, I never remember thinking that I had a sister with Down Syndrome, it never occurred to me. She was just my sister, Ela, that I did everything with, no questions asked. Sometimes I'd get annoyed with her because she'd yell or hit me or cheat in some game we were playing, but every sibling did that, it was no different with Ela. I would go to things like the annual Buddy Walk for Down Syndrome, her weekly speech appointments, and her physical therapy sessions, but I never once thought of her as a girl with Down Syndrome. The first time I really remember ever even thinking about the fact that Ela had Down Syndrome was when I was in the 4th grade, and she was beginning Kindergarten. I can recall realizing that she had to have some more teachers and helpers in the class with her at certain times, and while I don't remember thinking that was in any way odd, I do remember being aware that not everyone had to have that extra assistance. 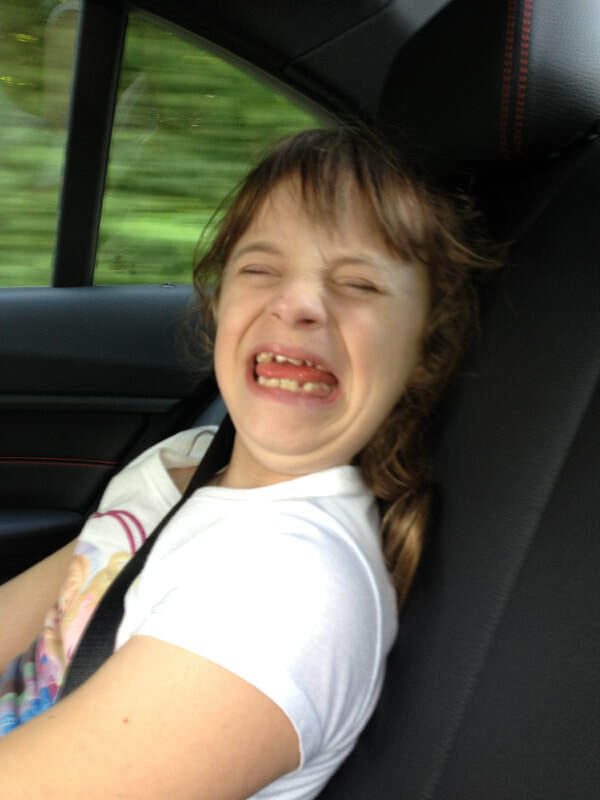 Once again, however, Ela's Down Syndrome never defined, or has defined, my life or hers. My mom has always said that I never let Ela's disability stop me from treating her like a normal kid. I never gave in to her crying or yelling, I never let her win a game, and I most definitely never let her get away with ANYTHING. If my mom got me in trouble, you bet I was going to sell Ela out with no hesitation. I spoke my mind and made sure she was treated as my equal. My mom always tells me that it all began when I was around 4 or 5 years old, and Ela was 1 or 2. She was cooking in the kitchen and Ela and I were playing in the basement. At one point, Ela actually hit me while we were playing. Now, I have been told that up until this moment, I had always been sweet towards Ela and hadn't really gotten upset with her, but that all changed here. All of a sudden, after my mom thought I was just going to let Ela get away with whatever she did, I yelled, "Okay, that's it, now you're going to get what you had coming to you!". I have no recollection of this moment, and unfortunately, I have never been able to live it down. But to my point, from an early age, Ela's disability didn't stop me from making sure that everything was "fair." While this whole "no sympathy" thing may sound a little harsh to some people, I truly believe that it has benefitted Ela in the long run, whether anyone has ever realized it or not. If I had let her win at things or let her treat me unkindly because of the age old "she has a disability", I often wonder if she'd be the same person today. People always tell my family that she is pretty advanced at everything she does, and I really do think that's because I've never given her a chance to slack on anything. I've always made her keep up with me, and that's always what she's strived to do. She has never been been able to go the "easy way out" in my household, and that is what has shaped her into a really intelligent and advanced girl. Always getting what she wanted in life would have never helped Ela succeed, in my opinion, but having to compete and work hard really pushed her to become very smart and dedicated. Ela is, and always will be, my equal. I cannot say it enough. To me, she is not a girl with a disability, she is not even different. Ela is my sister, end of discussion. 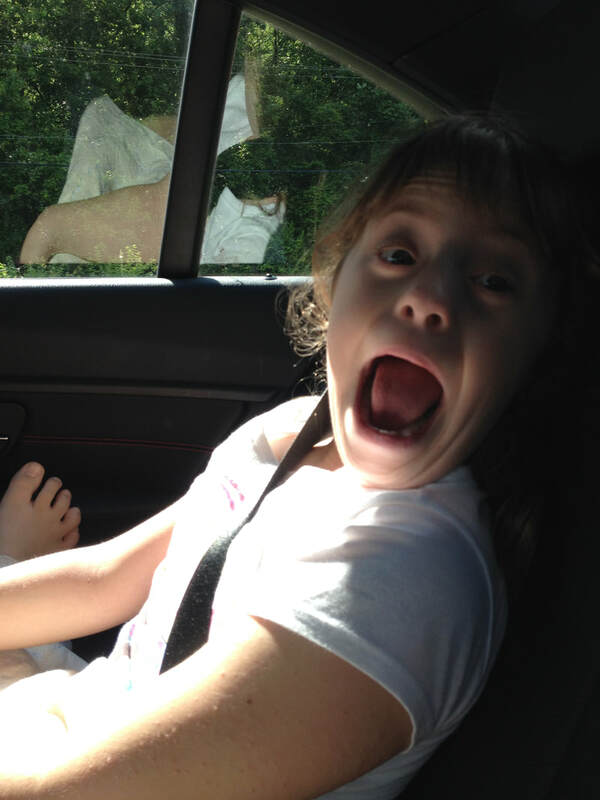 I guess if you take anything away from this, it should be that life with a sibling with Down Syndrome doesn't have to be unique, you don't have to look at it as anything different than the norm. People often think that they need to treat Ela differently than they would any other person, but the truth is, Ela is no different than any other kid. The way I see it, the best thing I can do to help Ela succeed in life is to push her to become the best possible version of herself, because she is capable of so much. If I let her take the easy way out of everything she does, I'd be depriving her of the chance to reach her full potential. Life with Ela may be different than other siblings' lives, but it's become my normal, and my normal is making sure that she is the best she can be. Hi! My name is Serra Tuzun and I am currently a junior in high school. 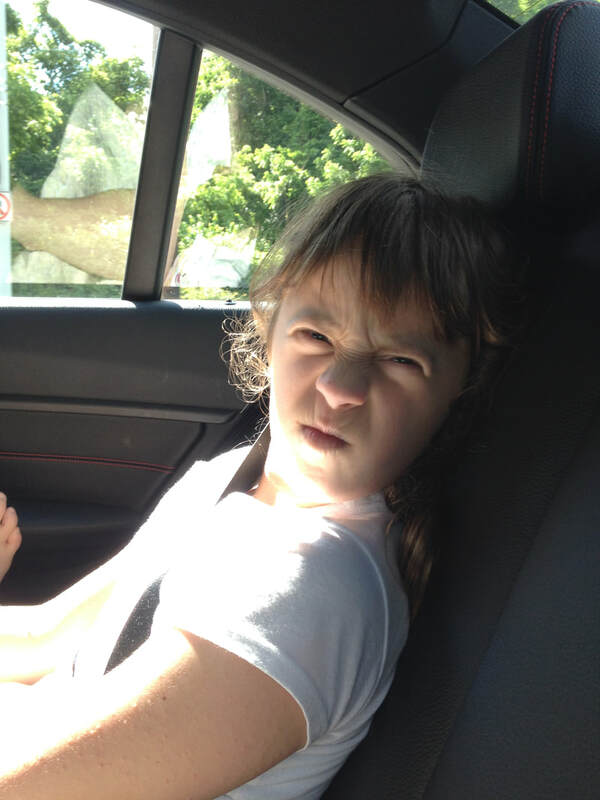 My sister, Ela, who is 3 years younger than me, has Down Syndrome, and I thought it would be a great idea to share my experiences with her to the world. This blog is just a way for me to let other siblings to children with down syndrome know that they are not alone!